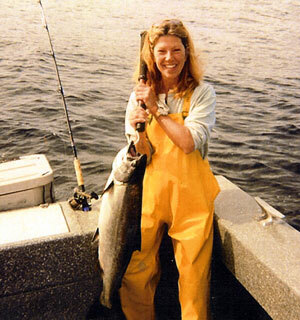 Diane Gardner lost the difficult battle against cancer at age 50. Diane was born in Clarksburg, West Virginia. She graduated from Rising Sun High School in Maryland, class of 1972. She served 3 years in the U.S. Navy as a medical corpsmen. Upon her discharge from the Navy she moved from San Diego to the Northwest. Diane began her singing and music career as a singing waitress as she worked towards her B.A. at Portland State University. She graduated in 1985 with a degree in music and went on to obtain a masters degree in music education which she completed in 1991, She taught music, band, and choir in the Portland Public School system. A deliberate career change led her to Beaverton Toyota as she most recently worked as a FinanceManager. She was a very passionate and warm loving individual who enjoyed making people smile with her funny stories and wonderful sense of humor. Her zest for life led her to experience the great outdoors including fishing, camping, and cycling. She was a great champion for all animals and very much cherished her dog, Muska and her cat, Maluse. Survivors include her mother and stepfather, Loretta and John Kissella; sister, Debra Allard; brother, John Graham; stepsisters, Margaret Howe and Janie Howe, stepbrother, John Kissella. Those who knew her loved her. Diane's family and circle of close friends will always hold her dear in their heads. She is loved and will be remembered with with laughter and tears.